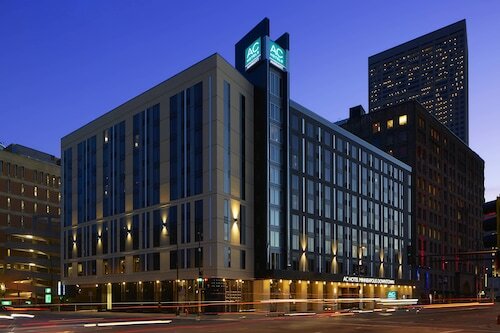 Located in Downtown Minneapolis, this luxury hotel is within a 10-minute walk of Target Field and Nicollet Mall. Target Center and Skyway Theatre are also within 15 minutes. Target Field Station is 8 minutes by foot and Warehouse - Hennepin Station is 11 minutes. 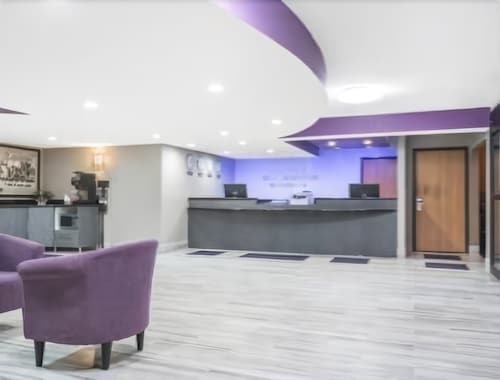 Located in Downtown Minneapolis, this hotel is within a 15-minute walk of Target Field and Nicollet Mall. Target Center and Skyway Theatre are also within 1 mi (2 km). Target Field Station is 8 minutes by foot and Warehouse - Hennepin Station is 16 minutes. 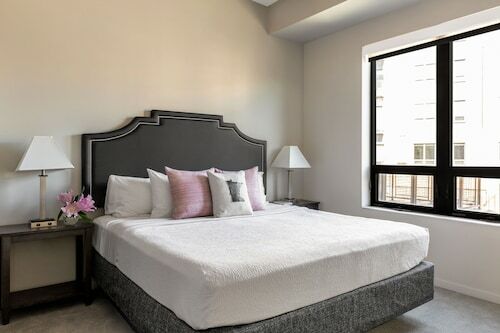 Located in Downtown Minneapolis, this apartment building is within a 10-minute walk of Nicollet Mall and Target Field. Target Center and Skyway Theatre are also within 15 minutes. Warehouse - Hennepin Station is 9 minutes by foot and Nicollet Mall Station is 11 minutes. Located in the center of Minneapolis, this family-friendly property is within a 5-minute walk of Nicollet Mall and Target Center. Target Field and Skyway Theatre are also within 10 minutes. 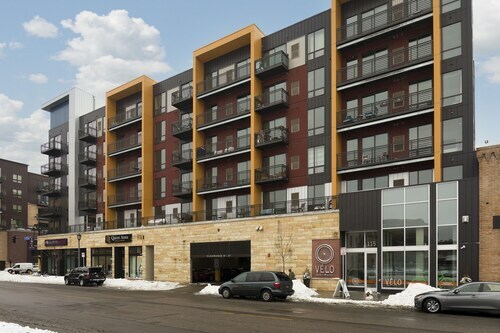 Warehouse - Hennepin Station is only a 3-minute walk and Nicollet Mall Station is 5 minutes. 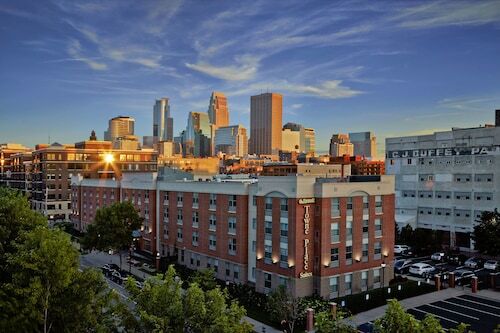 Located in Downtown Minneapolis, this hotel is within a 10-minute walk of Target Field and Nicollet Mall. Target Center and Skyway Theatre are also within 1 mi (2 km). Target Field Station is 8 minutes by foot and Warehouse - Hennepin Station is 11 minutes. 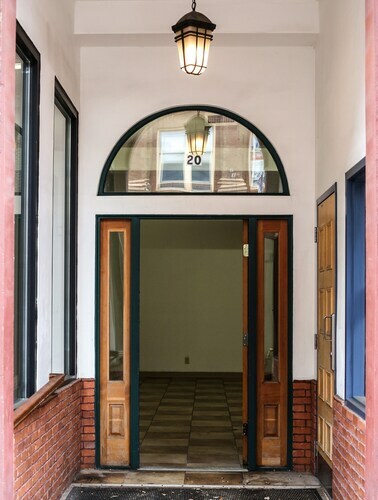 This property is located in Minneapolis (Downtown Minneapolis), close to Target Field, Target Center, and Skyway Theatre. Also nearby are State Theatre and Nicollet Mall. This condo building is located in Minneapolis (Downtown Minneapolis), close to Target Field, Target Center, and Minneapolis Convention Center. Also nearby are U.S. Bank Stadium and Skyway Theatre. 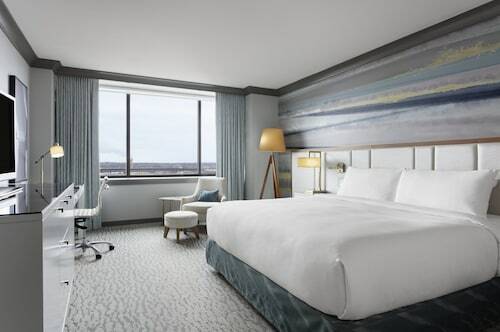 This 17-story hotel is 6 miles from the Mall of America, 9 miles from Minneapolis–St Paul International Airport, and 12 miles from downtown Minneapolis and the Minneapolis Convention Center. 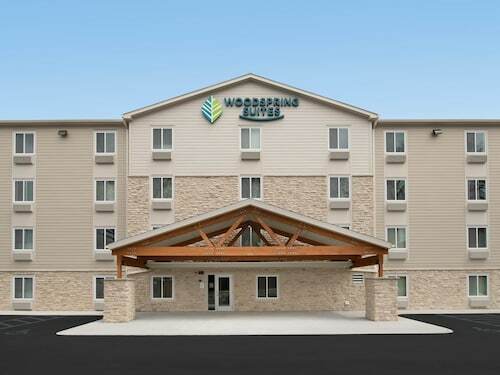 Situated in Bloomington, this hotel is within 2 mi (3 km) of Rasmusseen College - Bloomington Campus, Normandale Lake Park, and Best Buy Corporate Headquarters. Normandale Community College and Bloomington Ice Gardens are also within 3 mi (5 km). How Much is a Hotel Room in Warehouse District? Hotels in Warehouse District start at $54 per night. Prices and availability subject to change. Additional terms may apply. Don’t keep your travel plans on repeat year after year. The same city with the same hotel every season will bore you and give you an itch to go looking for something new. Expand your geographical horizons to more than just those five blocks around your usual haunt. Nowhere else can you find better deals on Warehouse District area hotels. You’ll find the best prices on the quirky, the haunted, the old, the new, and the legendary. If you’re wondering what side of the pricing scale some of these hotels fall on, you need not to worry. Compare cheap hotels near Warehouse District to find the perfect one to will fit your budget. Leave the ordinary routine you’re set on behind and go. Go anywhere you want. Anywhere that makes you think, “I wonder what that’s like?” Part of Travelocity’s mission is to get you off-the-beaten path and the hotels near Warehouse District are perfect for that. Find your new favorite watering hole on a quiet street. Discover a place to escape for the weekend with tasty local fare and unique sights. We want you to consider the places outside your normal comfort zone. Browse our selection and find the ideal hotel, in a place you’d like to explore.